There appears to be some confusion over who is a Windsor or who is a Mountbatten-Windsor. That's understandable. In 1917, when George V changed the name of the house from Saxe-Coburg and Goth to Windsor, and limited the HRH and the title Prince or Princess to the children of the sovereign and the grandchildren of the sovereign in the male line, the family name Windsor would be used for those male line descendants who are not titled. Thus, HH Prince Alistair of Connaught lost his princely title. As his mother was a peeress in her own right (Duchess of Fife), little Alistair was styled by the dukedom's secondary title, Earl of Macduff. He was also the heir to the Connaught dukedom, which he inherited in 1942, following the death of his grandfather, HRH The Duke of Connaught. Alistair became the first non-royal duke of Connaught. He died in 1943, unmarried, in Ottawa, Canada. The Windsor surname would have been used by his children, particularly daughters and younger sons. When Princess Elizabeth married Prince Philip, the wedding registration shows her name: Elizabeth Alexandra Mary Windsor. When she became queen, she announced that the House and the Family name would remain Windsor. But in 1960, she issued a new Letters Patent that stated the House name would remain Windsor, but the family name -- for those who would need a surname --would be Mountbatten-Windsor. This applied to her descendants only. Thus, the male line descendants of George V would continue to have the surname Windsor. When the Duchess of Kent gave birth to a son, George, in 1962, the little boy was styled with the courtesy title Earl of St. Andrews, so the first instance to see Windsor as a surname was in 1964 when the Duchess of Kent gave birth to a daughter, Lady Helen Windsor. The Windsor name will continue through the male line descendants of the Dukes of Gloucester and Kent. The Mountbatten-Windsor surname made its first official appearance in November 1973 when Princess Anne married Mark Phillips. The wedding registration shows her name as Anne Elizabeth Alice Louise Mountbatten-Windsor. The surname also appears on Andrew's and Edward's wedding registrations. The name was not used on the Prince of Wales' wedding registration. 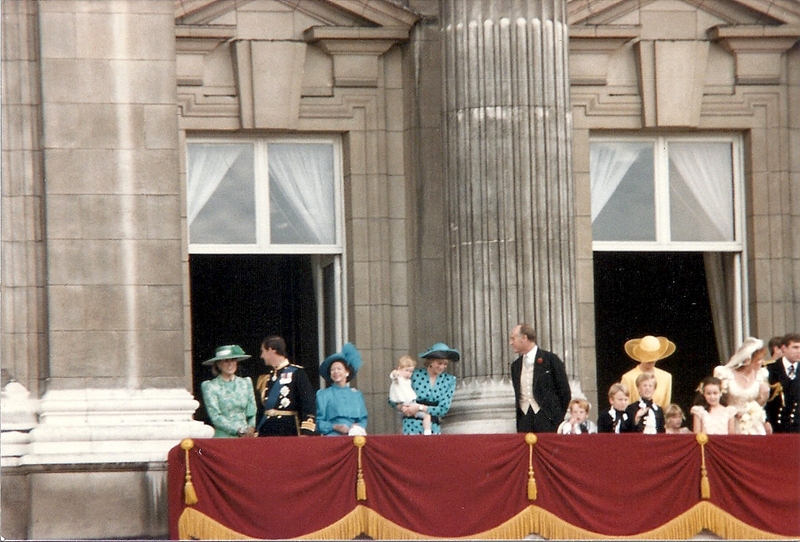 When Prince Edward married Sophie Rhys-Jones in 1999, Buckingham Palace announced that their children would not be styled by the HRH or the title of Prince or Princess (in spite of the 1917 Letters Patent.) Edward was created Earl of Wessex and Viscount Severn. In November 2003, the Countess of Wessex gave birth to a daughter. Buckingham Palace announced that the baby would be named Louise Alice Elizabeth Mary Mountbatten-Windsor, but would be styled as The Lady Louise Windsor. The couple's son, James, who was born in December 2007, bears the courtesy title Viscount Severn. Buckingham Palace announced that his surname is Mountbatten-Windsor. His male line descendants will also use this surname. Thanks for this explanation. I have wondered whether other lines could also hyphenate the Windsor name, since the Queen has done so for her descendants.